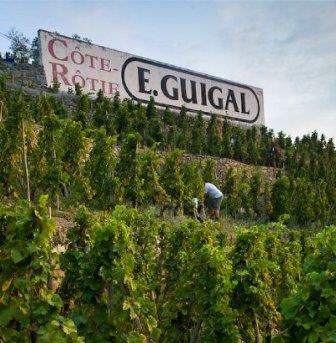 1991 Guigal La Mouline is the wine of the week. Now, while I realize this is a very rare, and expensive wine, this particular bottle has significance. All good wines offer pleasure and they make a great accompaniment to meals. But at least for my way of thinking, the bottles that truly stand out, allowing us to retain the experience of enjoying them in our memory, were as much about the people we shared the bottles with, as they were about the wine. I’m writing this article while vacationing in Tokyo. It’s too early to leave the room, even though its cramped size demands a hasty exit to explore the city. 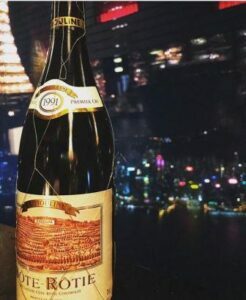 So, I’m using this downtime to talk about not only the incredible bottle of 1991 Guigal La Mouline, but the reason it’s always going to remain a special memorable wine for me. Asia is great. I love the food, culture and people. We were in Hong Kong yesterday, where we spent 4 amazing days in the city. Our penultimate evening was spent 102 floors above the neon lit skyline, towering over the city. From that vantage point, the vista across the water, the countless skyscrapers with lighting that would make Las Vegas seem dull, the mood was set. This vacation is the first time my girlfriend and I have traveled together. As most of you know, there is no equalizer like the blend of excitement, stress and adventure that accompanies travel to help determine if you’re a good match, or not. After close to a week of non stop togetherness, things were heading in the right direction. It was the perfect time to pop the question, or the cork. I chose the cork. The bottle was important as the wine shared its birth year with her son. It’s a good thing he was not born just a few months later. Now, Cathy is new to wine. Her lexicon is not there, but she has an instinctively good palate. More importantly, she maintains the desire to discover, learn, taste, talk about and enjoy the wines we share. From the first sniff, swirl and sip, Cathy remarked this bottle was like no other wine she had ever tasted. The texture was surreal. The perfume was intoxicating and the wealth of changes the wine experienced in the glass during our meal seemed endless. Clearly she understood what this wine was all about. I could not have said it better myself. I love pairing red wines with Asian cuisine. The freshness, purity of fruit and textures found in the wines I prefer, really add to the meals. And let’s face it. 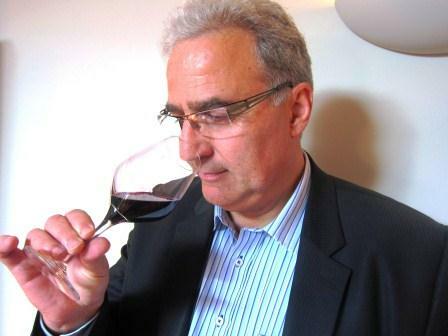 When tasting wines for evaluation, they are fine on their own. But wine and food were meant to go together, as each adds to the complexities of the other.